The National Evangelical Synod hosted Rev. Martin Puhn, the director of ME office in the EKD between 20-22 October 2018. Rev. 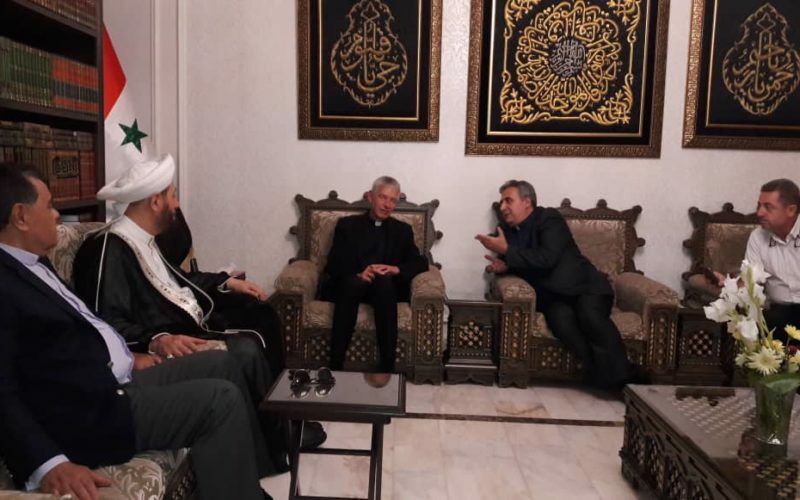 Puhn was accompanied by the General Secretary of NESSL in his first visit to Syria. It was an opportunity for Rev. 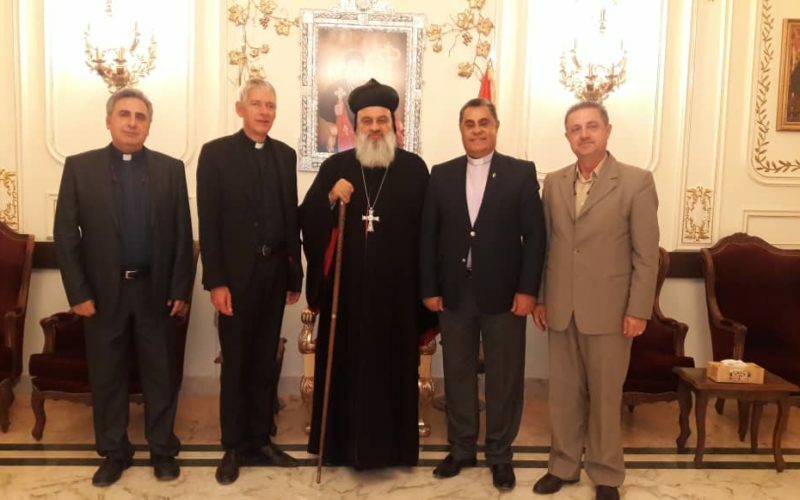 Puhn to meet with the Grand Mufti of the Republic, Sheikh Ahmad Badreddine Hassoun, the Syrian Orthodox Patriarch Afram, and Bishop Ma’louli of the Greek Orthodox received by Rev. 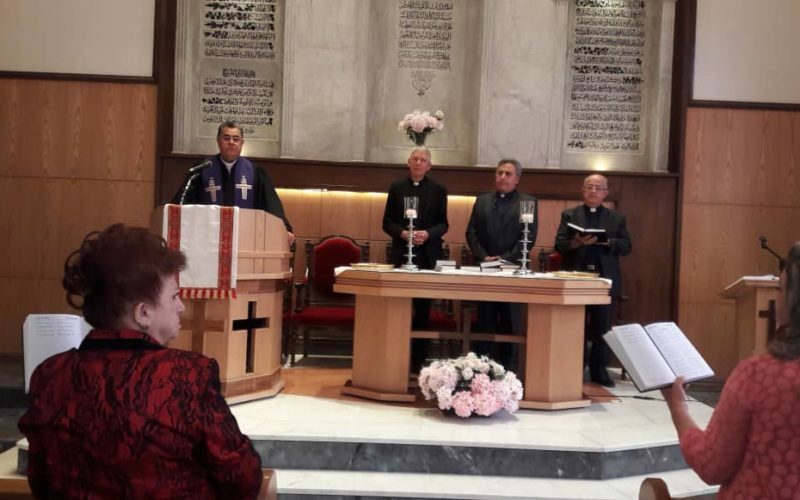 Boutros Zaour, Moderator of NESSL and the pastor of Church in Damascus. It worth mentioning that EKD is a German Evangelica umbrella for 26 million Protestants. 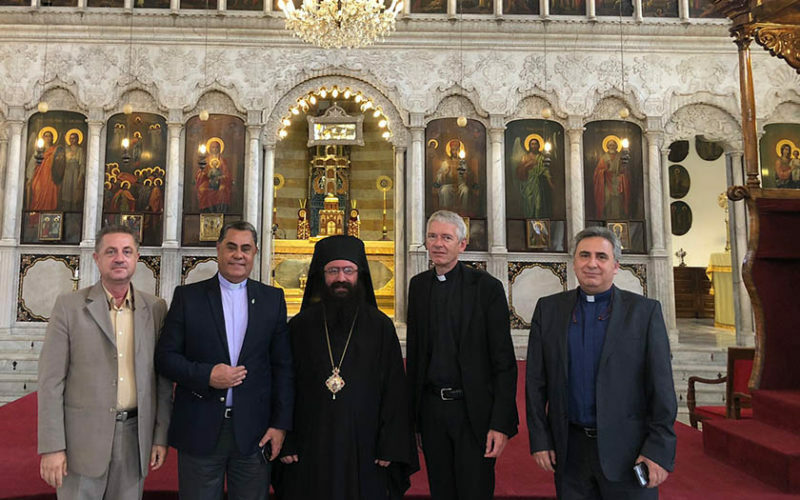 © 2018 The National Evangelical Synod of Syria and Lebanon. All rights reserved.